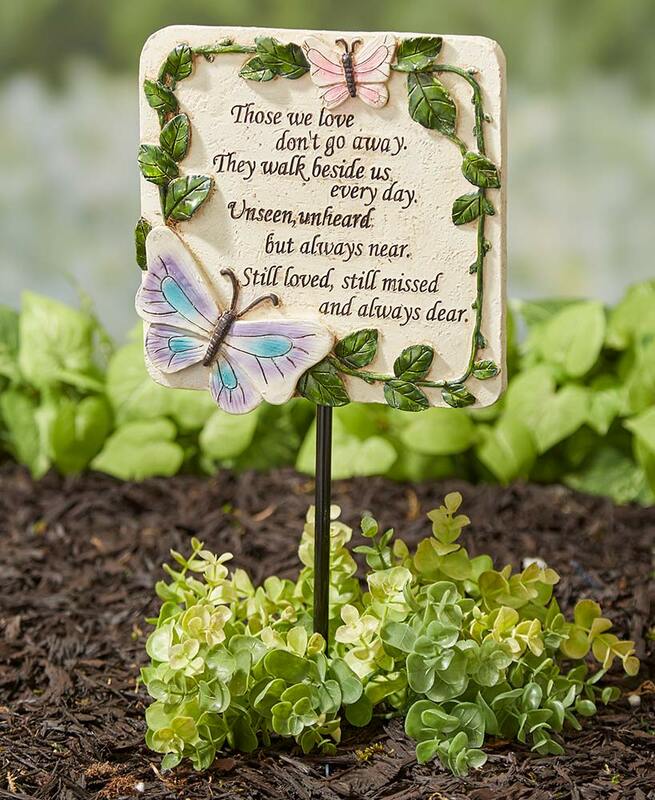 Honor the memory of a lost loved one with this Memorial Stake. 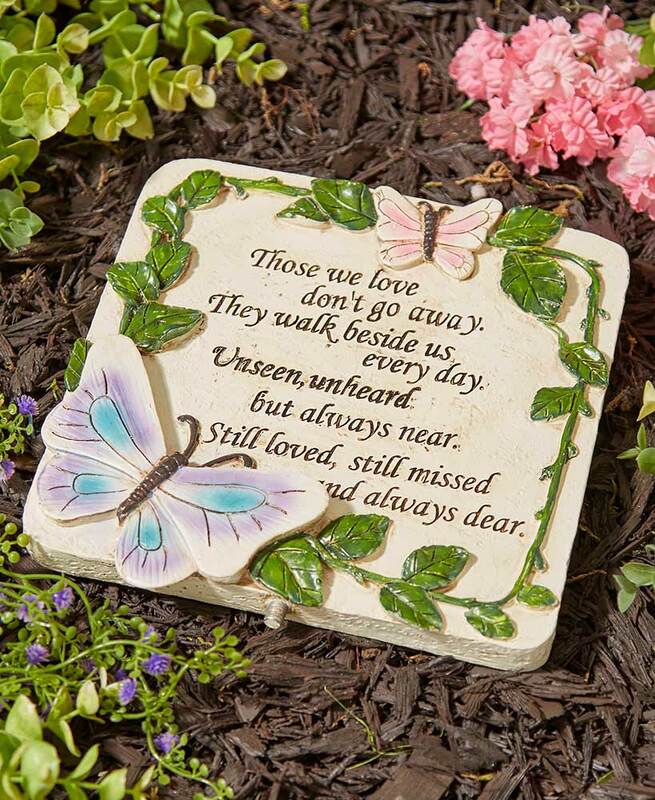 Engraved into the stone are the words, "Those we love don't go away. They walk beside us every day. Unseen, unheard, but always near. Still loved, still missed and always dear." It's decorated with raised images of butterflies and leafy vines. Display it as a garden stone by twisting off the stake, or leave the stake on and secure it into the ground or a planter. 7-1/4"W x 17-3/4"L, overall, including the 2-3/4" ground stake. Stone, 7-1/4"W x 8-1/8"L. Cold cast ceramic and metal.